Where to go skiing in the unstable conditions of the national currency? 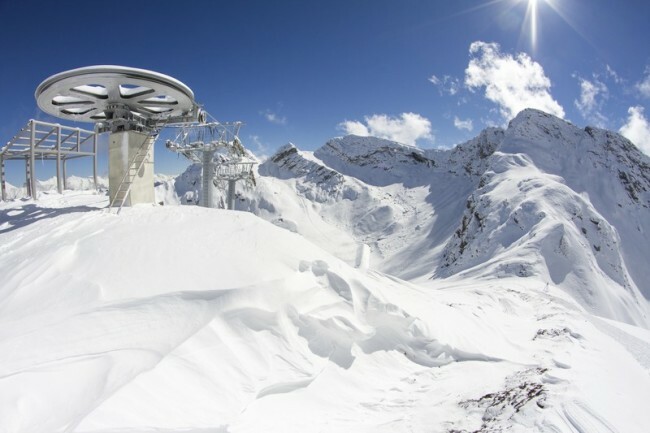 Where to look for well-equipped ski slopes with ski lifts and areas for off-piste skiing? And most importantly – where is cheap? From this edition, you will learn about the 13 ski resorts in Russia who can afford the average tourist. Issue price: Flights Moscow – Gorno-Altaisk – 16,000 rubles (round-trip), accommodation category 2-3 stars – from 1900 rubles a day ski pass for the day – 500 rubles. Why here: Belokurikha without reason called Siberian Switzerland. The beautiful mountain scenery and healing qualities of the Altai air resort almost as citadel alpine peaks. Here, as on the Swiss slopes, no extreme temperatures, winter – no wind and snow – can skate from December to March, and the sun shines longer and more intense (about 260 days per year) than in the resorts of Caucasus and Crimea. Belokuriha has seven comfortable and safe trails of varying difficulty with a total length of more than 25 kilometers, three of them (“Katun”, “Altai-West», «North») are equipped with night illumination. The resort is a school alpine skiing, in which almost all the instructors – candidates for the master of sports of alpine skiing or master of international class. 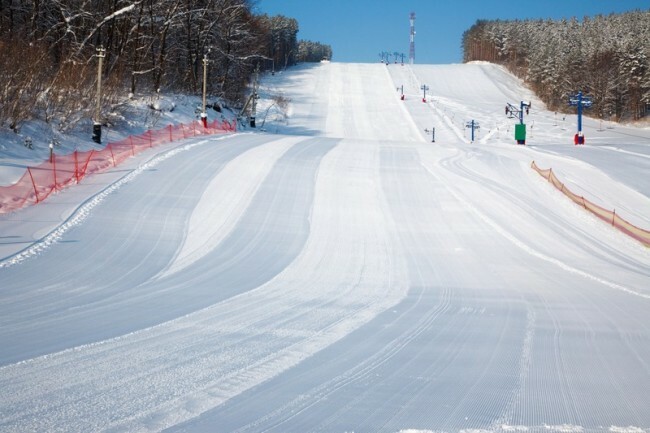 Pros: well-groomed trails, equipped with snowmaking systems, infrastructure network of shops, restaurants, rental equipment, own extreme park with a launching pad, two boxes, plastic coated, Quarter-pipe, rails for dzhibinga and multiple jumps of varying complexity for snowboarders and advanced skiers. There is also a “baby lift” – lift for children and beginners. How to get there: from Gorno-Altai – by bus (see timetable and prices ). By airplane to Barnaul, and from there go by bus to the resorts Belokuriha (schedule can be specified on site bus station). Price issue: a bus ticket Moscow – Yaroslavl – from 1,400 rubles round trip, a standard double room – from 1150 rubles, ski pass for six hours – 400 rubles. Why here: two flat and simple slopes Bates with a height difference of 43 meters suitable for families and those who just gets on skis. It also has a good infrastructure, designed for kids and teenagers: baby lift, the route for tubing, skiing area for children, sports equipment rental and special training courses for young skiers. Night skiing is provided illumination, and snowy days switched system of artificial snow. For advanced katalschikov working extra slope dotted with hillocks and gullies, which is located within the complex. Slope length – 180 meters, the angle of – 24 degrees. Pros: strong snowboard school, cheap coach services (1000 rubles / hour), 50 per cent discount on equipment and ski pass for children. How to get there: from Moscow to the M8 motorway turn Kostroma highway A113 to the railway crossing, then drive through the village to Liutovo Seslavin. Or, take the bus Moscow – Yaroslavl, Yaroslavl and from the bus station – bus №184T. Price issue: a train ticket “Peregrine Falcon” – from 1400 rubles Flights Moscow – St. Petersburg – 4000 rubles, a standard double room – 2500 rubles per day ski pass for the day – 1100 rubles. Why here: this is not a ski resort boasts spectacular mountain scenery, but has set a wide variety of trails for skiers and snowboarders of different skill levels. A total of 10 resort ski slopes with a total length of more than 6 km: three red and four black, track Mogul – with artificial mounds and jumps, as well as two tracks for beginners. The resort has RedLake Exteme Park with extreme track and snowboard park, stadium acrobatic skiing, cross-country skiing and skating on the cheesecakes. All slopes are equipped with night lighting and snowmaking system. Here you can safely come with small children. Due to the uncool slopes, baby lifts and a strong coaching staff, are very easy to put the child on skis or snowboard. Pros: the organization of children’s leisure, which includes a children’s ski school, playground and club, a single ski pass for all lifts, smooth and well-groomed slopes, a strong coaching staff. How to get there: bus №K898 from the metro station “Parnassus” or by train from the Finland Station to Pine. Next – bus №№645, 646. Issue price: Flights Moscow – Ekaterinburg – 10 000 round-trip, a standard double room – from 3610 rubles a day ski pass for five hours – 800 rubles. Why here: White Mountain is considered one of the most beautiful in the Middle Urals. It received its name is no accident: the first nine months of the year its slopes covered with white fluffy snow. There laid five different runs (two red, two blue, one green) with night-lighting, which are suitable for both beginners and advanced riders. You can stay right in the hotel complex, located in the ski center. After skiing the people playing paintball, rides on snowmobiles and ice skating. Pros: mountain slopes are well covered, trail running in the morning and evening; good infrastructure, cheap group sessions with coaches. How to get there: by bus №113 from Nizhny Tagil – White Mountain or by car from Yekaterinburg to Serov tract. Issue price: Flights Moscow – Arkhangelsk – from 9500 rubles, a standard double room in the hotel – from 1500 rubles a day ski pass for the day – 1300 rubles. Why here: ski on the slopes of ski resort robin increasingly come not only for beginners and families with children, but also advanced skiers and snowboarders. Several reasons for this.Firstly, due to the northern location of the center in his tracks always steady snow cover and the season lasts until the end of April. Second, prices in the Robin significantly lower than at other resorts. Although Mamison ski resort has only two slopes of the total length of 480-520 meters and a height difference of 76-96 meters, for the pros here there is a very interesting red runs and a snowboard park with steep peak – three jumps and figures for jibbing. Pros: evening light trails, training slope, free cross-country trails in the forest backlit, tubing park. In addition to skiing and snowboarding robin offers a range of outdoors activities: ice skating rink, roller competitions, snowmobile, ice hockey on an outdoor site. Issue price: Flights Moscow – Ufa – from 6000 rubles (round-trip), a room in the hotel – from 1000 rubles a day ski pass for six hours – 600 rubles. 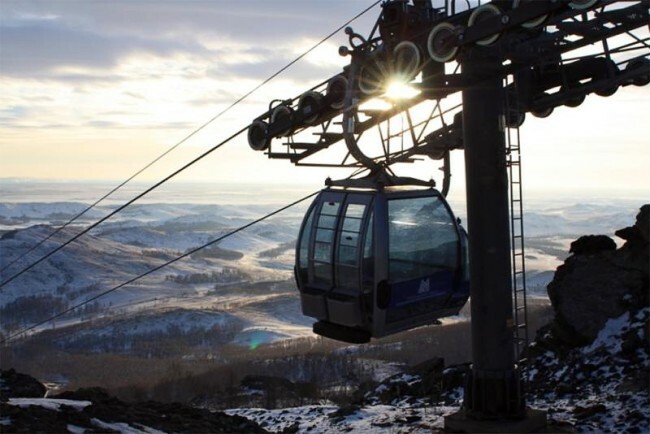 Why here: Zavyalikha located in the Southern Urals, near the village of Trehgornyi Chelyabinsk region, and includes 10 well-prepared pistes of varying degrees of complexity (three are certified by FIS and lighting) with elevation 150-430 m and a length of 2200-2980 meters. The complex functions extreme snowpark desperate for skiers and snowboarders, there is a trail BOARD-cross and five lifts, including Russia’s only six-seater chairlift. There are also children’s and educational trails and cross-country ski with a total length of 15 km. 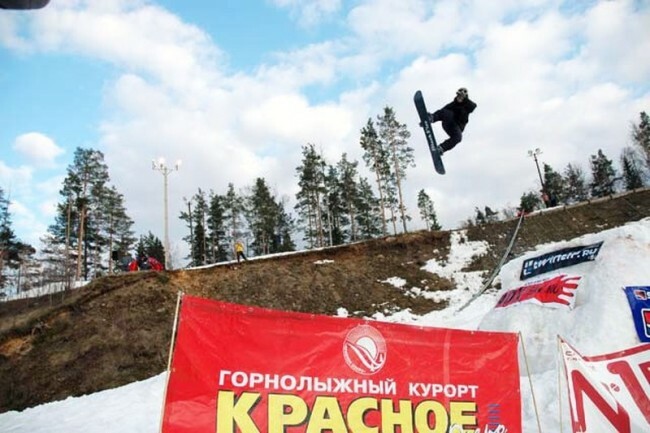 Once a year Zavyalikha becomes the venue of the competition for the Cup of Russia on a snowboard. Pros: comfortable lifts, which have high bandwidth, eliminating the queue, ski school, the infrastructure for kids, including a baby lift, ski courses and children’s track. How to get there: By car from Ufa to the federal highway Moscow – Ufa – Chelyabinsk either by train Ufa – Chelyabinsk station Elm. From there – by taxi or bus №113. Issue price: Flights Moscow – Petrozavodsk – 10,000 rubles (round-trip), the hotel in Petrozavodsk – from 1200 rubles a day, rent house in the village Pinguba, which is as close to the ski slopes – from 3500 rubles a day, ski- pass for 4 hours – 500 rubles. 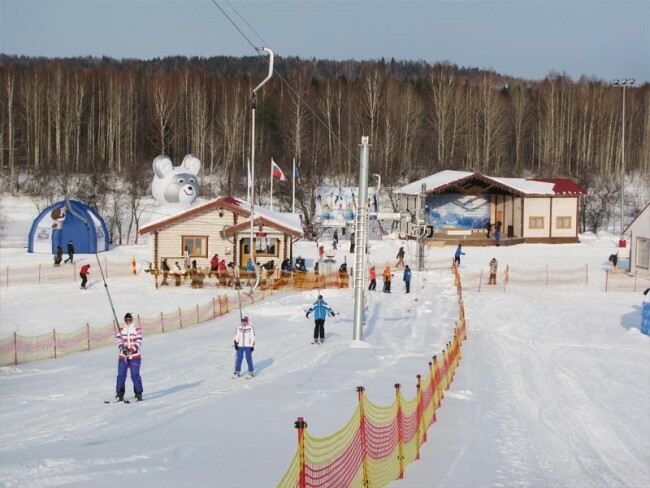 Why here: Opened in 2013, the Karelian Yalgora resort is not very popular among Russian skiers. For this reason, there are practically no crowds, cheaper housing, and the route is smooth and free. Another attractive feature Yalgory located on the shore of Lake Onega, – a unique terrain, which is often compared with Kamchatka. The resort has three runs of varying difficulty with a height difference of 100 meters, red and black runs, training slope for beginners and children, ski slopes, chair and belt (beginner katalschikov) lifts, rental, ski school and children’s sports. Pros: opportunity to combine skiing with a visit to attractions such as the island of Kizhi Suysari and waterfall Kivach, abandoned village Pegrema. 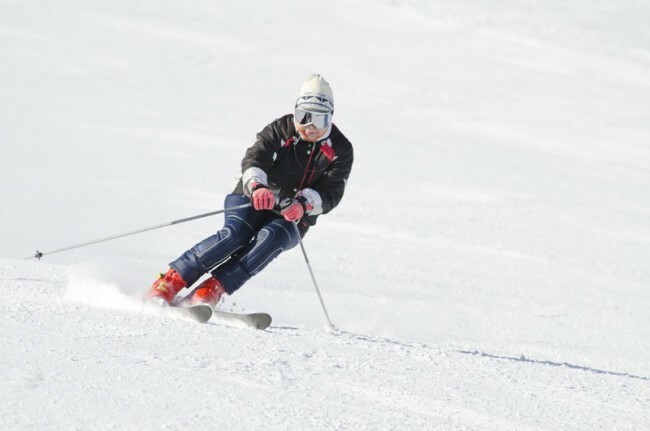 Other important advantages Yalgory – long ski season (November to April), length of trails and gentle slopes that are ideal for skiers and snowboarders of all skill levels, a strong coaching staff. How to get there: by train or plane to Petrozavodsk, and then – by car or taxi to Solomensky highway, across the pontoon bridge and village Pinguba. 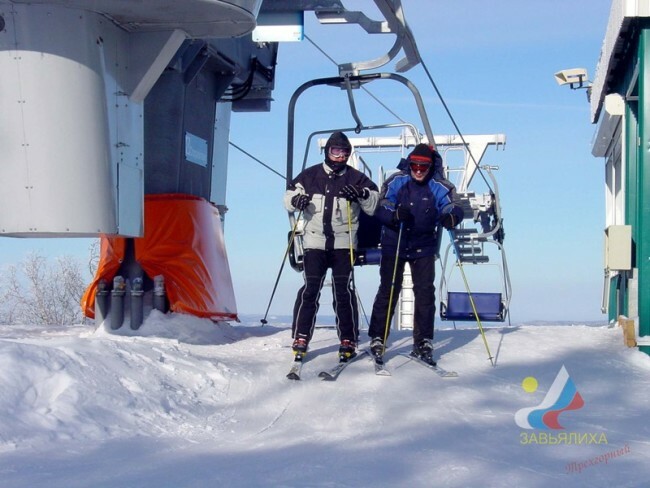 Issue price: double room – from 2000 rubles a day ski pass for the day – 700 rubles. Why here: Yahroma – a popular ski resort in the suburbs, which is 46 kilometers from the capital. Here is equipped with four slopes that allow comfortable ride not only for beginners but also experienced skiers. For children and beginners katalschikov suitable training track, and those who kept steadily on skis or a board, like the track 3A and 3B with a strong drop in the upper part of the slope and rolled out smoothly. On these routes are slalom, including the Cup of Russia. Off-piste skiing here is also quite interesting: the route 4B (“Forest”) is suitable for skiers and snowboarders with a high level of training. Pros: lighting runs in the dark, good ski school for children and adults, lots of tracks aimed at any level of training, advanced entertainment and sports infrastructure. How to get there: by car to Dmitrov highway, by train – from station to station Savelovsky Yahroma, then by shuttle bus. Issue price: Flights Moscow – Mineral water – from 6,000 rubles (round-trip), a standard double room – from 1500 rubles a day ski pass for the day – 1400 rubles. Why here: Dombaya 12 runs (five of them – major) with a total length of 25 kilometers are suitable for skiers and snowboarders of all skill levels. The upper part of the south-western slope of the mountain Mussa-Achitara good for beginners and lovers of quiet ride. Pros should choose the lower part of the slope, where there are several red and black runs with rapid changes and uneven terrain. 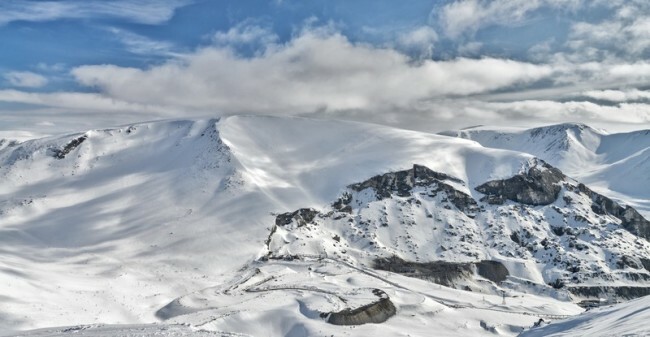 Fans will appreciate the virgin skiing off-piste routes in several northern slope with a trip to the valley or on the road Gonachkhir Teberda-Dombai service and heli-skiing. 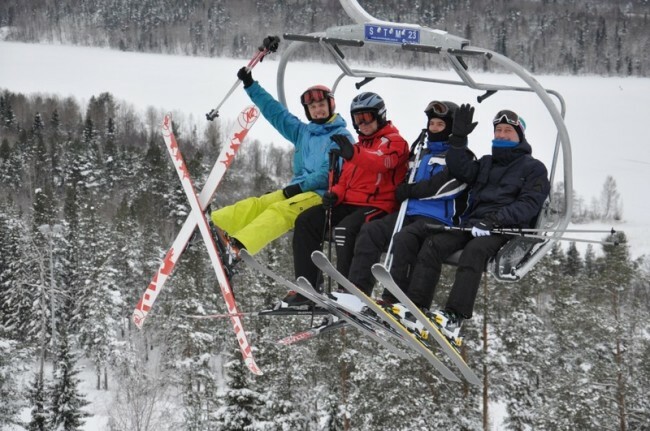 The resort has a ski school for adults (children’s ski courses are provided) and you can hire. Pros: clean mountain air, extensive excursion program around Dombayskoy clearing, well prepared and planned route, infrastructure. How to get there: by plane to Mineral Waters, and then from the airport – by taxi or by bus (see schedule ) to Dombayskoy clearing. The resort can be reached by train Moscow – Mineral water or by bus from Moscow. Issue price: Flights Moscow – Sochi – from 5,500 rubles round trip, in a hotel room – from 1500 rubles a day ski pass for the day – 1800 rubles. For those who prefer to travel by train, Railways offers special New Year fare “Skier” , which includes the free baggage allowance and any winter equipment. Prices start from 4999 rubles for a ticket in a compartment on the route Moscow – Adler. Why here: this is one of the best ski resorts in Russia. Come here to see the Olympic legacy and try out a variety of well prepared tracks. It should be understood that the Krasnaya Polyana – Resort collective. 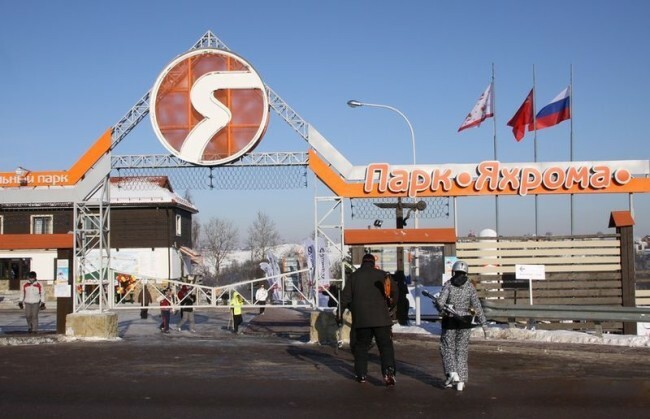 It consists of three ski resorts (“Mountain Carousel”, GTZ “Gazprom” and “Rose Farm”), each of which “own” the public. Considered the most respectable year-round resort “Rose Farm” with developed infrastructure, hotel chains and a large selection of routes, aimed at both beginners and experienced riders. Another nice feature “Rose Farm” – Extreme Park, which hosted the World Cup stage and European snowboard and freestyle. One ski pass allows you to ride on any of the three resorts. Pros: modern ski slopes of different difficulty levels, new lifts, hotels and resorts for every taste, a large selection of après-ski-entertainment, children’s club, “Yegor” ski school with international instructors from Russia, France, Austria, Switzerland. How to get there: from Sochi / Adler at high speed train “Swallow”. Issue price: Flights Moscow – Ufa – from 8000 rubles (round-trip), a standard double room – from 1500 rubles, ski pass for three hours – 600-750 rubles. Why here: today Invision Power Board – one of the most well-equipped ski resorts not only the Urals, but also Russia. Here are 15 trails of varying difficulty – red, green and blue – a total length of 18 kilometers. And there’s a children’s slope with a minimum slope, snowpark with half-pipe and four runs for slalom and giant slalom, with a certificate of an international organization FIS. All the tracks are equipped with night lighting and snowmaking system. Pros: inexpensive service and accommodation, a number of more simple routes that are suitable for a family vacation, the longest ski season in the Urals – from November to May, infrastructure, additional cross-country skiing, a large selection of après-ski-fun. How to get there: on the company’s train Moscow – Magnitogorsk №094U or fly to Ufa, then take a train Ufa – Sibai or car. Issue price: Flights Moscow – Murmansk – 7000 rubles, apartment rental – from 1500 rubles a day ski pass for the day – 1100 rubles. 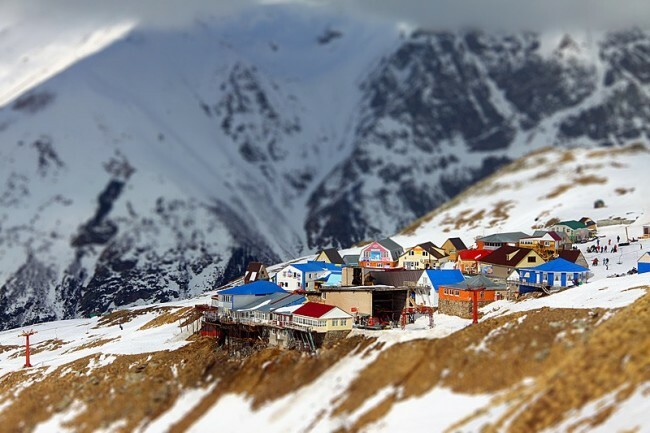 Why here: Hibiny – one of the oldest ski resorts in the most picturesque and interesting routes in Russia. It consists of four ski areas (“North Slope”, “Kukisvumchorr», Big Wood, «Kolasportland”) and snowpark. Most of them are designed for advanced skiers and off-piste.However, the green slopes and training slopes in Hibinah also available. Still there mogul slope, jumps for freestyle, 70- and 90-meter jump jumps, ice rink, 14-kilometer-long flat trails and ski stadium. An important advantage of the Khibiny – long ski season, which lasts until late spring.On some slopes and snow lies all year round. Pros: amazing nature of the Kola Peninsula, the ability to see the Northern Lights (if you go in December), trails for skiers of different categories, duration and abundant snow cover, affordable prices and services. How to get there: by plane to Murmansk, then about three hours by car to Kirovsk. By airplane to Kirovsk (though the cost is more expensive) or a ride on the train to the apatite, and then transfer to a bus to Kirovsk. Issue price: Flights Moscow – Novokuznetsk – 15 000 rubles (round-trip), a standard double room – from 1000 rubles a day ski pass for the day – from 500 rubles. Why here: ski resort has 14 runs (two green, four blue, six red and two black) with a total length of 3900 meters. All the tracks meet the international standard FIS. It regularly hosts a variety of events – for example, the stage of the championship of Russia on ski and snowboard.In Sheregesh there are hills of any degree of complexity – from training to speed. Usually pros conquer the upper part of the mountain slope Green, where the black and red runs, and the Cubs run in downhill mountain bear. For children there are in Sheregesh ski school and ski nursery “Tumbler”. In addition, Sheregesh – a great place for lovers of freeriding. Active off-piste helps dry, “flying” snow, abundant snow cover, the thickness of which is 120 cm, and a very long ski season – from November to May. 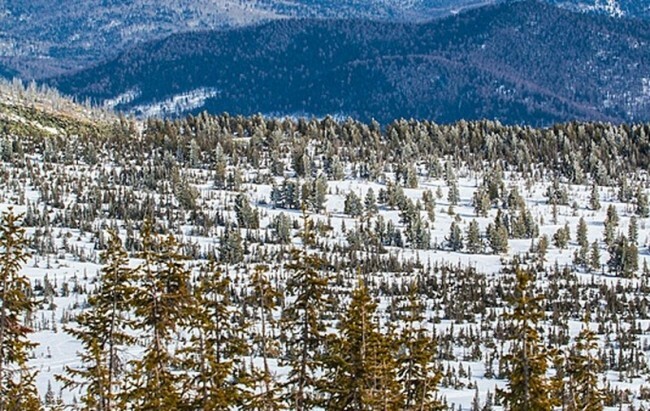 Freeriders resort offers heli-skiing and heli-board: getting to the starting point snowmobiling, helicopter or on foot. The only drawback for lovers of off-piste – lack of a common ski pass for the lifts, so you have to either choose or buy single lifts. Pros: large variety of trails (some have night lighting), guaranteed snow cover, highly skilled instructors. The complex is suitable for those who want to ski for the first time. This is facilitated by easy training runs, gentle slopes and drag lifts. Skiing is possible to dilute the spa center, ice rink, restaurants and karaoke bars. How to get there: from Novokuznetsk can take the train to the station or bus to Condom Tashtagol.